A nail-biting one goal win was the result of an eventful trip down the freeway to the Peninsula School on Saturday. As the coach said, sometimes you have to win ugly and in the circumstances all those who had travelled the distance and weathered the storm were thrilled with the result – 4.14.38 to 4.8.30. Tom Cheshire opened and closed proceedings with a goal in the first and last quarters and was best on ground with a smart, hard wet weather game. Having controlled the play for large parts of the day, with a 15-point buffer half way through the final quarter, Fitzroy’s discipline waned in a costly way, with a combination of free kicks and a 25-metre penalty helping create a flurry of shots at goal from the Pirates and bringing the margin back to just one goal with only minutes to play. Needless to say the shivering on the side-lines only increased and the fingernails of the Fitzroy fans* suffered, with last year’s trip to Peninsula still fresh in the memory. But there were some great moments of resilience and tough footy from the likes of Toby Hudson Bevege, Rory Angiolella, Sam Baker, Max Ellis and Max Davie, locking down defensively and ensuring the result was a good one. Aidan Lambert, who gathered and kicked a goal like it was a sunny day, also got into the tough wet weather footy. That's two from two for the Seniors. After ruckman Matthew Gaite left the field (more on that later) Ross Borland stepped up and did a power of work around the ground. The Reserves continued their powerful start to the season and in conditions which can only be described as horrendous (the umpire threatening to call the game off), astounding their opponents with their ball movement and accuracy, and kicking seven goals in the first quarter. As the hail and rain continued and Fitzroy eventually having just one well body on the bench, the scoring opportunities dropped away, but they won with a creditable 11.6.72 to 2.5.17 to maintain top spot on the ladder with a percentage of over 1000 (is that even mathematically possible?). James Graham kicked three goals, with Chris Brown and Sean Laidlaw kicking two each. Shae Skipper was best on ground and has earned himself a senior call up. Phyllis had her photography day cut short as she packed young Dylan Patcas into the car and headed for Frankston Hospital to check on a possible concussion, but she only needed one shot to show what the Reserves teams were up against – and you can see it at the top of this story. 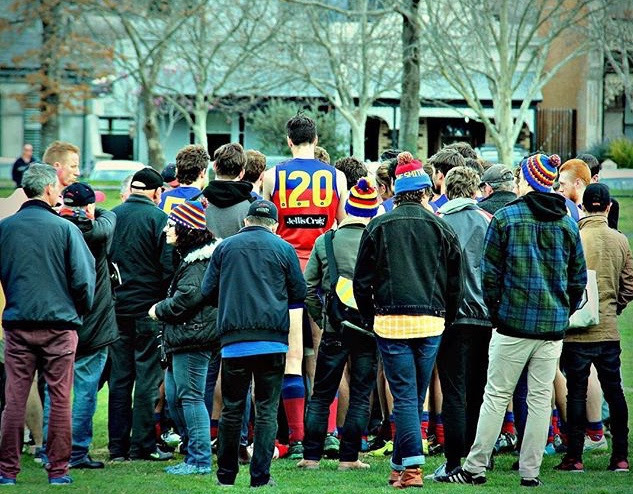 The VAFA is reporting that we will be sorely challenged by the very tall and well balanced Old Geelong – any team that could put together an eight-goal final quarter in last Saturday’s conditions, certainly deserves favouritism tomorrow. Sadly, Fitzroy will be without Tom Biscaro, joining leadership group member Nathan Ligris on the sidelines due to suspension. *This week’s loyal fan award surely goes to Janet Graham who arrived at Peninsula half drowned after catching a train and then bus out to the ground. Now that is commitment! Opposition sides are invariably taken aback by the height of our number one ruckman. But it’s the number on his back that really does them in. It’s a simple story, but one the RedRoy Mail reckons is worth telling. Measuring an impressive 7 foot in old terms (114cm in the new), Matthew Gaite presented something of a problem to team manager extraordinaire Sharon Torney. Sizing him up, Shaz decided to allot him a number 20 guernsey. It fitted length-wise, but was far, far too big in girth. And that was only the first obstacle – there was already a Thirds player sporting the number 20. Undaunted, Shaz taped a number one in front of the 20 and sent Gaitor on his way. As we all know, Gaitor isn’t one to complain and he copped it on the chin (literally last week unfortunately) and, because the tape left an indelible shadow, he sported the number 120 all season, with Shaz eventually stitching on a number one. This season Shaz took pity and ordered a bespoke version from the jumper manufacturer – requesting they add an extra 23 cm to an extra small. Now all we need is to get Gaitor back on to the park. He reports that although his jaw is broken in three places, it’s the damage to the nerve that’s the source of the most discomfort and causing numbness in his face, making it hard to eat. And let’s face it, he hasn’t got much weight to lose. The doctors predict that in a couple of weeks Gaitor can indulge in some non-contact training with a return to a full game a further four to six weeks away. Best of luck Gaitor. It’ll be a fine sight to see the number 120 running around again. Image caption: Gaitor stands head and shoulders above the opposition – in more ways than one. There will be three Roy teams in action on Saturday at Ramsden Street, with the Under 19s playing the first game against Old Carey at 9.40am. The Unders have faced two hard games and are yet to record a win, but there were some good signs against Williamstown last week. The home side took the points 10.11.71 to 8.7.55 with just a few lapses in structure and concentration proving the difference. Miles Nelson was adjudged Fitzroy’s best and also kicked three goals for the game. 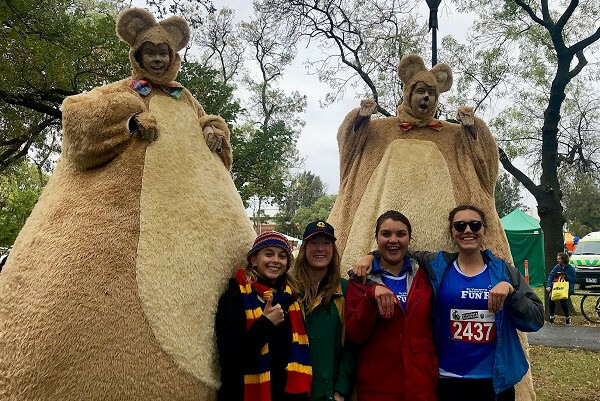 Fitzroy-ACU Reserves Women under Simon Jackson recorded their first win last Saturday in the rotten conditions, with a comprehensive victory over Kew AFC at Victoria Park, Kew. It was something of a massive turnaround from the week before and possibly demonstrates that many of the teams will take a while to find their feet in the new Seniors and Reserves structure for the Premier women’s comp. The Ressies won 6.11.47 to 0.1.1. Susie Worthington played a great game and Emily Drew was strong with two goals and the rest of the goals were spread around. 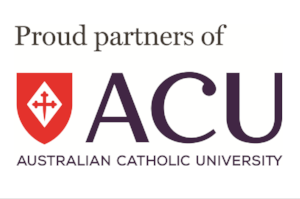 Both Fitzroy-ACU teams will be at home at Ramsden Street this week against Caufield Grammarians. Having come up against the two new teams of the competition so far, they will face familiar opponents in the ‘Fields. The Senior Women will be searching for their first win after a tough loss to Kew AFC 3.8.26 to 1.4.10. Kew played their own ground very well and made the better of their attacking opportunities. 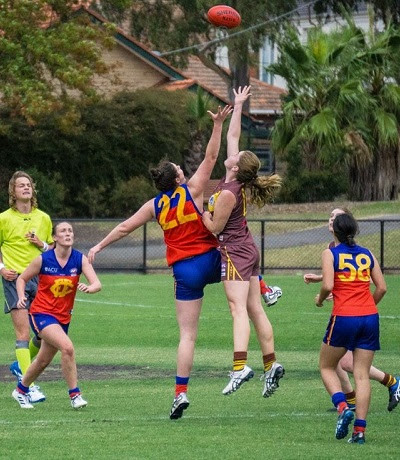 Fitzroy had control of the ball in their own half of the ground for most of the third quarter – in fact almost the whole game was played in one half of the ground thanks to the conditions – but just couldn’t find the goals. In a side that went down 3.8.26 to 1.4.10, Erin Gogerly was again outstanding, particularly with her marking in the wild winds. The women’s action at Ramsden Street features the Reserves in action from 12 and the Seniors play at 2pm. Fitzroy will hold with tradition tomorrow and commemorate the past players and officials of the club who lost their lives for our country. At half time the club will hold a small wreath laying ceremony at the war memorial between the grandstand and the Fitzroy Victoria Bowling Sports Club. All those coming to the game are encouraged to head over to the short service at half time in the senior game and pay their respects. 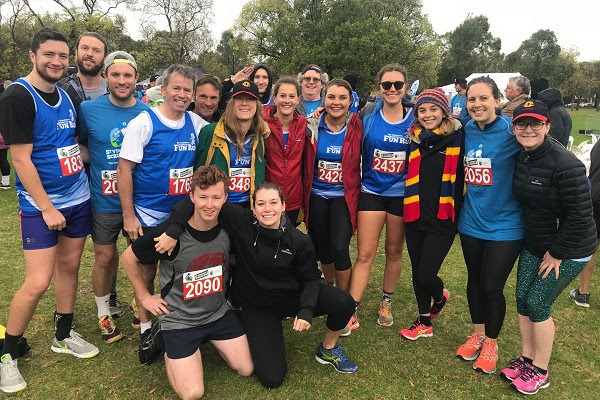 The Fitzroy 15 – our number of runners and walkers – managed to run up a total of over $2000 for St Vincent’s Hospital on Sunday morning. The conditions certainly tested the commitment but led by Fitzroy-ACU coaches Mick Symons and Simon Jackson, a large contingent of the Fenton family, and several of our women’s and men’s squad made some of their own fun and got the job done. Thank you to all of those who so generously donated and supported the team, and thanks to the team for representing the footy club in style at this community event to support another great Fitzroy institutions. If anyone would still like to donate, you can. Please use the link above. 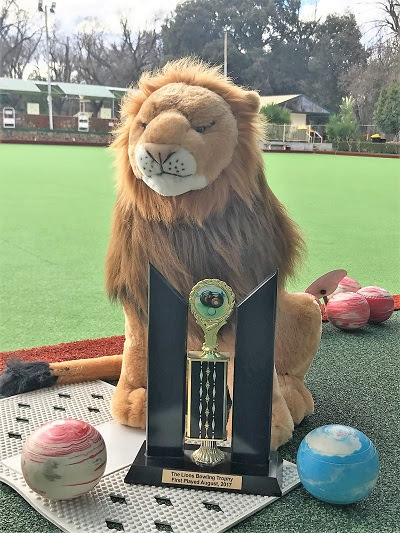 Can you knock off Gaitor and co, the 2017 inaugural victors, and take home the trophy? Or are you in it for the fun? Either way it’s a nice way to spend a lazy Sunday. Who: Teams of three – mixed teams are fine. 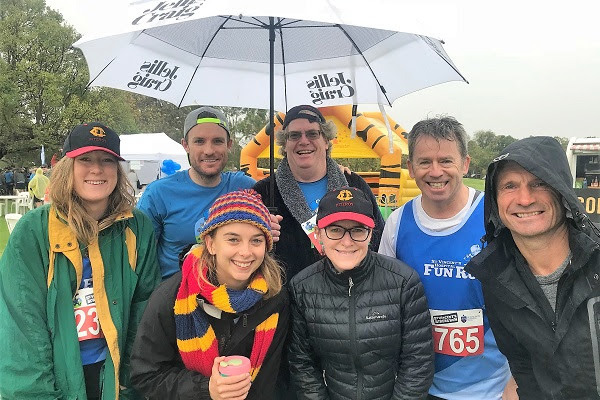 As an accredited Good Sports club, Fitzroy works hard to ensure our environment is safe and inclusive and everyone can have an opportunity to be healthy and get involved. To be part of the national Good Sports program we commit to upholding and maintaining certain policies and standards of behaviour to enable a healthy environment. This week the Board renewed three good sports policies which set some important guidelines for the conduct of all of our players, volunteers, officials and supporters as we attend VAFA games and club functions.